Case study: Did SAFE make a difference in Morocco? The SAFE implementation programme in Morocco set clear goals known as Ultimate Intervention Goals (UIGs) that needed to be achieved by 2005.
measuring the quality of trichiasis surgery. 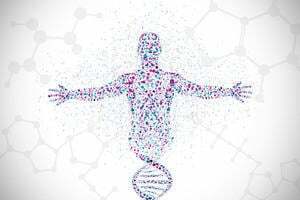 A - The antibiotic target was set at a minimum 80% coverage and a goal of trachomatous inflammation-follicular (TF) <5% in children aged less than 10. Aspects evaluated were: personnel training, and the coverage and acceptance of antibiotics. 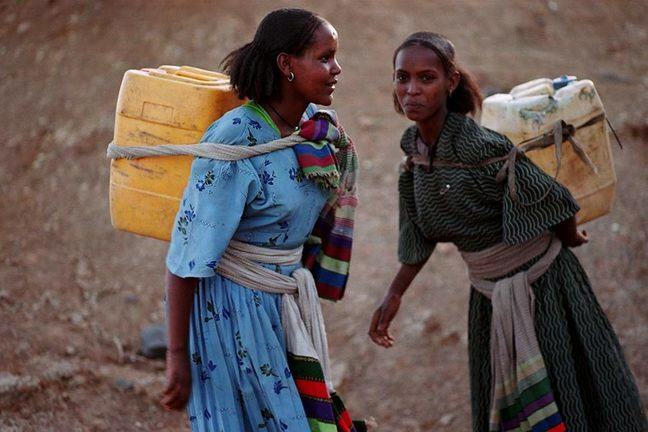 Supplying safe, drinkable water for 500 communities. 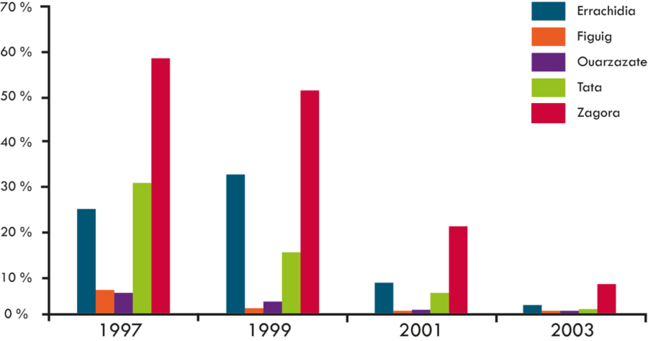 Impact surveys were carried out every two years between 1997 and 2003. The data from each survey were essential for navigating the programme towards its UIGs. The survey participation rate was over 90% in each of the provinces. 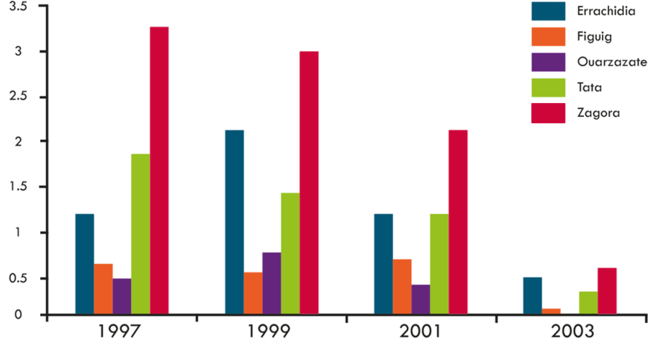 The impact surveys showed declining prevalence in both TF and TT in all 5 endemic provinces between 1997 and 2003. This occurred as the SAFE strategy was implemented in these provinces. 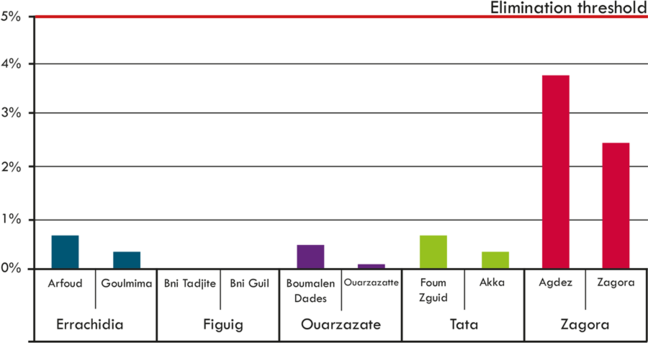 Although the prevalence of trachomatous inflammation-follicular (TF) in children under 10 did not exceed 2% in four of the provinces, it remained fairly high in Zagora province (7.8%). 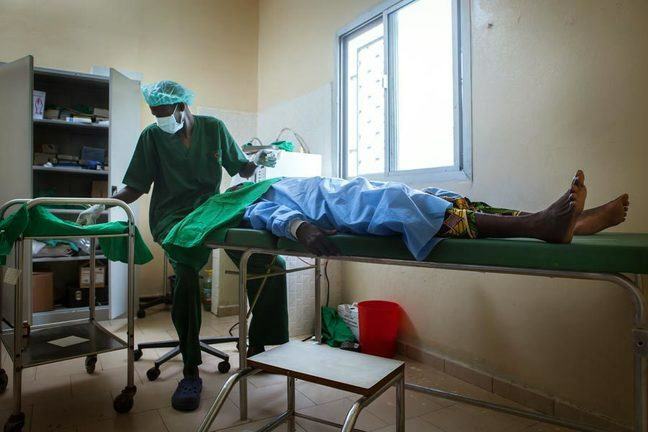 It was decided that specific actions would be taken regarding trichiasis surgery, targeting the district communities where the prevalence of TT remained high. In the Agdez district of Zagora province antibiotic treatment strategy was extended by one more year and a repeat survey was carried out . 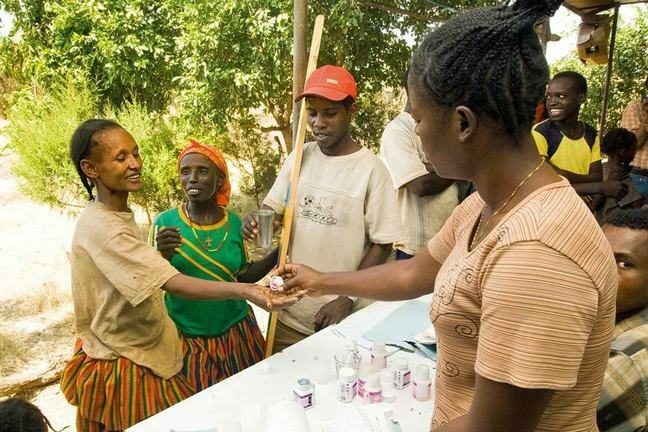 In September 2005, the national programme conducted the final impact survey in the rural district of Agdez. This survey showed that the prevalence of TF had decreased from 8.8% in 2004 to 4.6 in 2005, and the prevalence of TT had also decreased from 2.5% in 2004 to 0.7% in 2005. How was a surveillance system established? The Kingdom of Morocco set up an epidemiological surveillance system for trachoma in 2006, in collaboration with the World Health Organization (WHO). This system is embedded in the existing structures of national health care system. 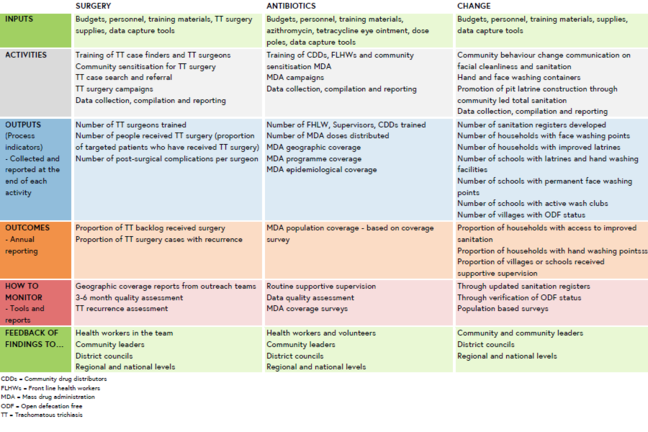 The system uses sentinel villages in the 5 endemic provinces to monitor the trends in TF and TT. This enables data for decisions and actions to be taken locally. This was an essential step in enabling the country to apply for certification of elimination of trachoma as a public health problem. Children in the sentinel villages were checked twice a year to monitor the at risk child population. All cases of TF as well as the level of personal hygiene (clean faces in children), availability of water and use of latrines were reported. Further examination and tracing of family and friend for each case diagnosed. Surveillance for trichiasis was based on ‘comprehensive detection of all cases of TT’. Screening was conducted annually in all communities of the 5 target provinces. Health personnel went door to door and identified people with trichiasis. Refusals were recorded and followed-up 3 times. If the person refused the intervention after 3 visits, they were regarded as a definitive TT refusal. In 2009, pre-validation surveys were conducted in the most disadvantaged communities in the 5 endemic provinces. 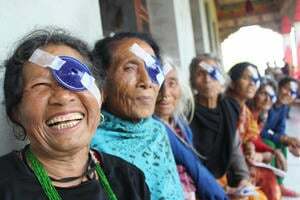 The objective was to demonstrate that blinding trachoma no longer represented a public health problem in the most disadvantaged communities in the target provinces. How was certification and completion of the dossier carried out? Following completion of the pre-validation surveys, discussions were held with the WHO Prevention of Blindness programme to begin to prepare the application for certification of trachoma elimination. When the validation dossier template was completed the WHO convened a group of experts to review it and produce a report. Full implementation of all the components of SAFE is needed to ensure active disease does not recur after MDA stops. In Morocco, emphasis was placed on implementing improvements in personal hygiene and community sanitation as well as MDA. It takes patience, perseverance and good leadership to continue surveillance when the disease seems to be well on the decline. 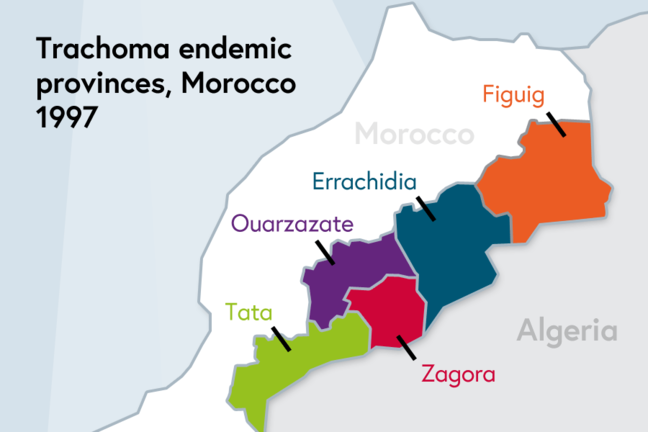 The trachoma programme has had far reaching impact on the targeted communities in Morocco. Improved standards of living and reductions in social inequalities have contributed to significant reduced poverty and vulnerability. 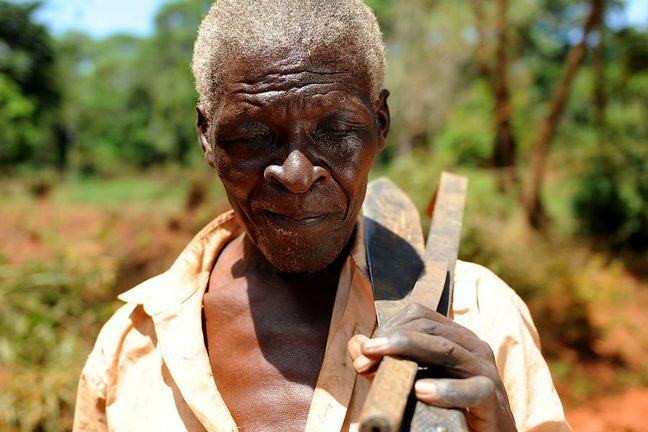 Extreme poverty has been almost eradicated.